The Hub » Inghams: This Week Top Ski Offers! 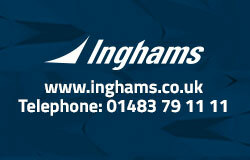 Inghams: This Week Top Ski Offers! Please see below this week top offers from Inghams. Prices also include flights and transfers from the airport to the resort accommodation. Follow the online booking process to see final prices with all applicable discounts included. Prices shown are the basic selling prices per person for a 7 night duration unless otherwise stated. Price does not include any room, flight or other supplements which may apply. Special offer prices are only available when using using Inghams Charter flights (Exception, Switzerland offer is based on lowcost airline flights to Geneva). Special offers are limited , subject to availability & can be removed or changed at any time. Current Inghams 2012 second edition booking conditions apply to all bookings. Late booking fee of £30 per booking may apply within 14 days of departure.